A woman who shot her 14-year-old daughter and husband in their San Carlos condominium, then stayed with their bodies for three days before reporting the deaths, was sentenced Friday to 80 years to life in prison. Regina Johnson, 60, was convicted of two counts of second-degree murder in the May 30, 2012, deaths of Aaliyah Johnson and Reuben Johnson. Deputy District Attorney Nicole Rooney said the defendant and her daughter once had a good relationship, but the defendant “changed” and ended up shooting the teen in the back of the head. Johnson shot her husband when he came home to find his daughter’s lifeless body on the floor, the prosecutor said. Rooney said the defendant wounded her spouse, then “hunted him down” before shooting him in the head. The defendant testified that she shot her 56-year-old husband after he killed their daughter, but Rooney told jurors that “objective” physical evidence belied the defendant’s story, from cell phone records that tracked his movements to bullet trajectories and a jar of petroleum jelly that the teen was holding as she got dressed. 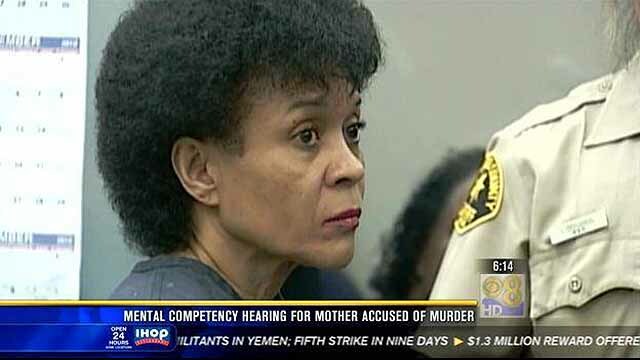 Throughout the sentencing hearing, Johnson continued to maintain her innocence, even reading a letter to her deceased daughter. Johnson said she “snapped” when she saw her husband shoot their daughter. The defendant was described as being depressed over the loss of her job and failing marriage. Aaliyah, meanwhile, was growing up, becoming more assertive and had a boyfriend, bringing new distance in the West Hills High School freshman’s relationship with her mother, according to trial testimony. Rooney said the murder weapon contained the defendant’s DNA and her fingerprints were found on the gun’s magazine. The defendant also got rid of shell casings and pills she was taking for depression, using lipstick to write “This is your fault” to her doctor on a bathroom mirror, the prosecutor said. In handing down the maximum sentence, Judge Joan Weber told the defendant that she was the only person who knows what really happened that day. “The one thing we know is that the story you told the jury was not what happened,” the judge said.